Founded in 1877, it is the oldest violin making company in Marseille and also one of the oldest in France. Barber and Granier, the two founders, set up their workshop at 14, rue Paradis near the Opera House. After a successful beginning Barbier retired and the business was taken over by Edmond Granier and his sons. 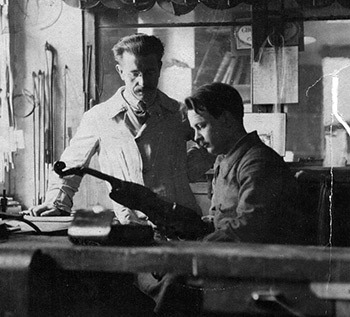 In 1937 the workshop was bought by Pierre Claudot, a violin maker who had been working there for nine years. 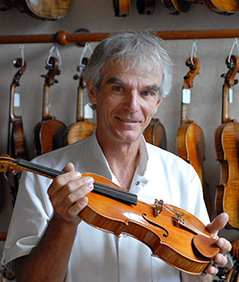 Originally from Mirecourt in the Vosges region, the French capital of violin making, he was a descendent of a well-known family of violin makers. After retirement in 1972, he sold the workshop to Philippe Bodart who in turn sold it to the present owner Charles-Luc Hommel in 1981. After twenty years of activity at this address the decision was taken to move to the present location at 27, rue Francis Davso, 13001 MARSEILLE, just opposite the workshop that had been used by Justin and Paul Diter and then by Paul Lorange in the last century. These premises are much larger and better suited to violin making than the old ones and are still within the vicinity of the Opera House. First contact with music at a very early age. Began learning the violin at 8½ years old and studied violin at the Colmar Conservatory of Music for eleven years. Born in Colmar, Alsace in 1955. 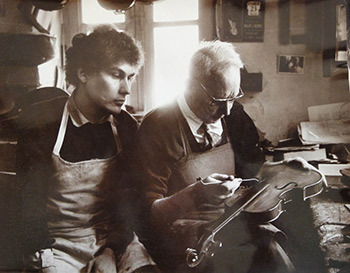 After graduating from high school with a scientific baccalauréat, did an apprenticeship as a violin maker with René Morizot, Master Violin Maker in Mirecourt, Vosges, France from 1973 to 1976. Violin making diploma obtained in 1976. Assistant to Philippe Bodart in Marseille (1976-1978 and 1979-1981) and to Etienne Vatelot in Paris from 1978 to 1979. Bought workshop at 14, rue Paradis, 13001 MARSEILLE in 1981 and moved to new premises at 27, rue Francis Davso, 13001 MARSEILLE in 2001. Appraiser for the Aix-en-Provence Court of Appeals, member of the International Society of Violin and Bow Makers (l'Entente Internationale des Maîtres Luthiers et Archetiers d'Art), member of the Association of Violin and Bow Makers of France (Groupement des Luthiers et Archetiers d'Art de France), Master Luthier. Those who have worked for the company (assistants and trainees) include: Philippe Raynaud, Laurent Perreau, Dominique Deschamps, Christophe Destannes, Jean-Pascal Nehr (bow maker), Rémi Lancien, Hélène Guichard, Claudia Höbel, Eric Pesty, Alexandra Apenberg, Antoine Leducq, Nicolas Gilles, Arnaud Vaissier. Began playing the violin at a very early age. 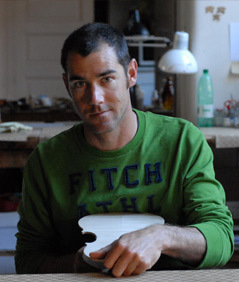 In 1998, after studying music at the Conservatoire National à Rayonnement Régional Pierre Barbizet de Marseille (Regional Conservatory for Music and Dance) and graduating from high school (Lycée Thiers, Marseille) with an economics baccalauréat, began a three-year apprenticeship as a violin maker with Jean-Jacques Pagès, in Mirecourt, Vosges, France. Obtained a diploma awarded by the l'Ecole Nationale de Lutherie (National School of Violin Making) at the Lycée Jean-Baptiste Vuillaume, Mirecourt in 2001. Began playing the violin at a very early age and after studying music at the Conservatoire National à Rayonnement Régional Pierre Barbizet de Marseille (Regional Conservatory for Music and Dance) and graduating from high school (Lycée Thiers, Marseille) with an economics baccalauréat, began a three-year apprenticeship as a violin maker with Jean-Jacques Pagès, in Mirecourt, Vosges, France in 1998. Obtained a diploma awarded by the l'Ecole Nationale de Lutherie (National School of Violin Making) at the Lycée Jean-Baptiste Vuillaume in 2001. Perfected his skills in restoration, repairs and instrument appraisals in his father’s workshop in Marseille and completed internships in different workshops, Maison Bernard in Brussels and Maison Vatelot-Rampal in Paris. Has taken part in various events, Manchester competition, Violin Society of America’s convention, the VioloncellesenSeine Festival in Paris, Amis de l'Alto (Friends of the Viola) and also in different shows, Musicora, La Bellevilloise in Paris, Mondomusica in New York, as well as a Road Show in USA. Camille is a member of the Violin Society of America and ALADFI, L’Association des Luthiers et Archetiers pour le Développement de la Facture Instrumentale (French Society of Violin and Bow Makers for the Development of the Craft). He regularly participates in exchanges and courses, such as the Obelin workshops in the USA. For several years now he has focused his work on the making of concert violins, violas and cellos of the finest quality.